Have you ever ventured to Montenegro? This is a beautiful Balkan country, which is definitely worth visiting. 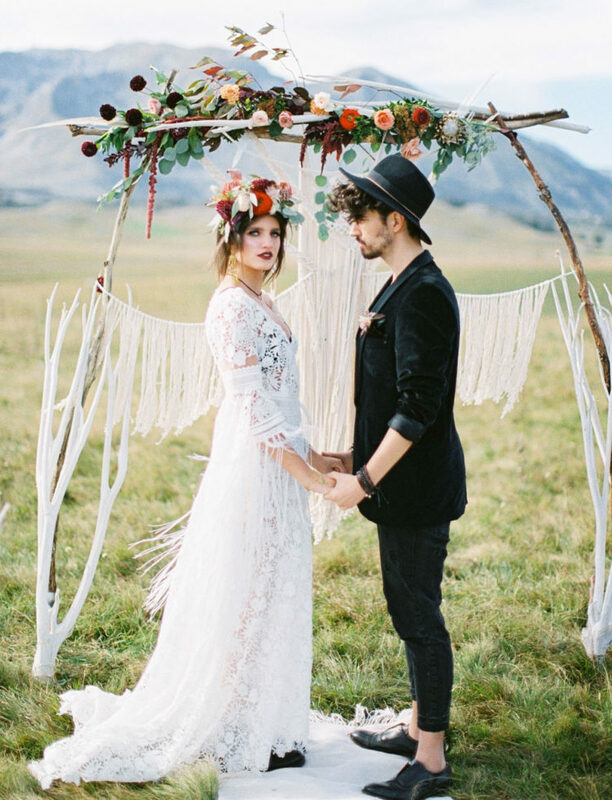 Wanting to play up the spirit and power of the Montenegrin mountains, Alexandra and Vladimir of Nadtochiy Photo teamed up with Maria Lipatnikova, Serafima Pavlova and Natalya Dolnikova for something that’s both bohemian and edgy. The stylists wanted to embody absolute freedom, unity with nature, and channel the open-mindedness of creative couples looking for the ultimate form of self-expression. The stylists used a combination of unusual textures, such as lace, velvet, fringe, leather, feathers, metal, and wood. 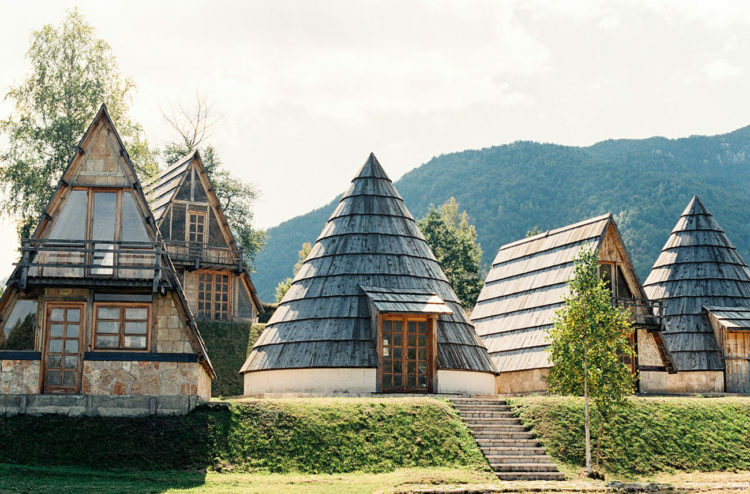 The magnificent landscape of northern Montenegro with its picturesque vegetation and authentic wooden houses became a perfect backdrop for this style and embodied a synthesis of romance and the spirit of wandering. 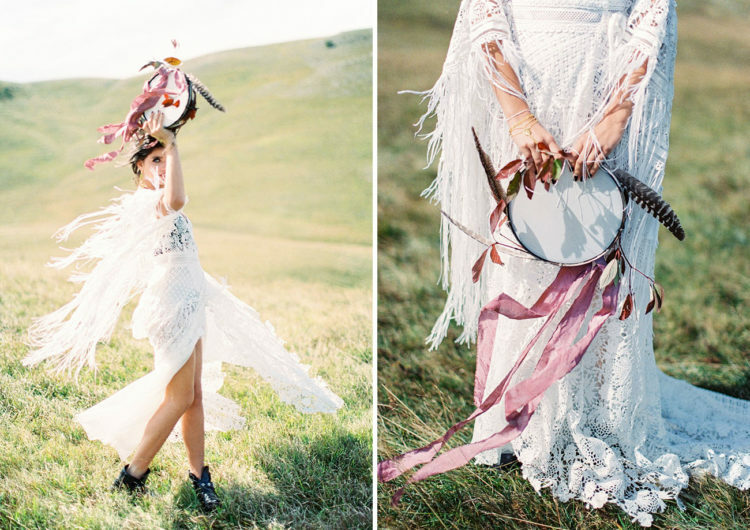 The team mixed a variety of elements for this editorial: natural and of the earth accents, effortless bohemian flair, and yet the whole thing exuded a sort of edgy fairy tale vibe. 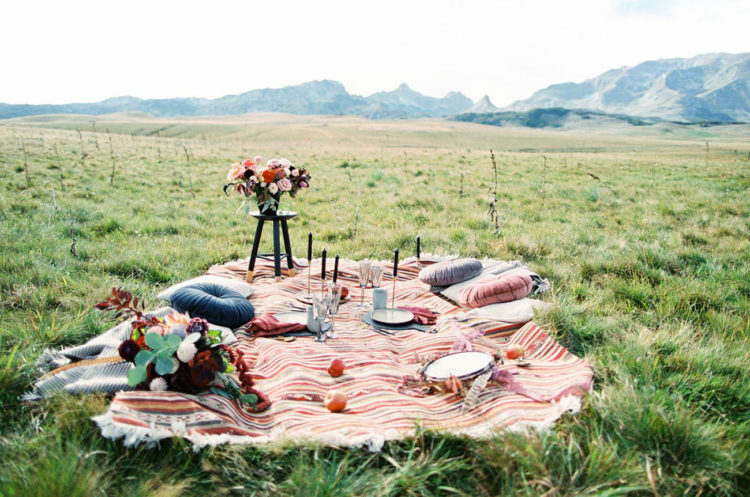 It’s chic and eclectic, yet wild and untamed. 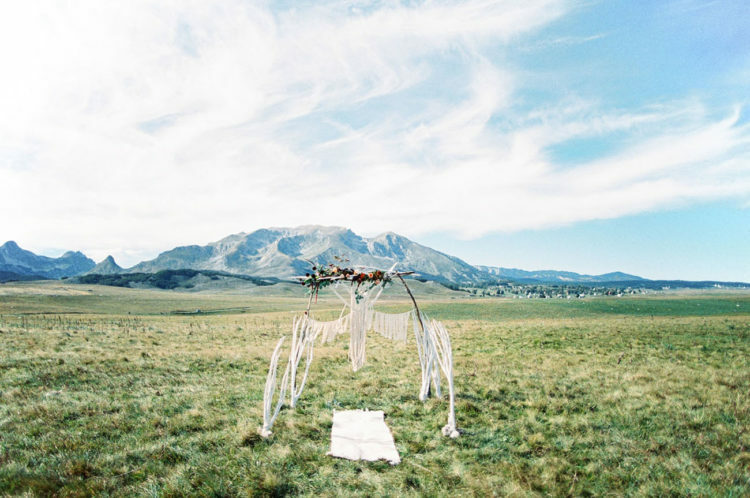 Letting the landscape shine, the backdrop was kept minimal with just a few pieces of macramé and a touch of florals. 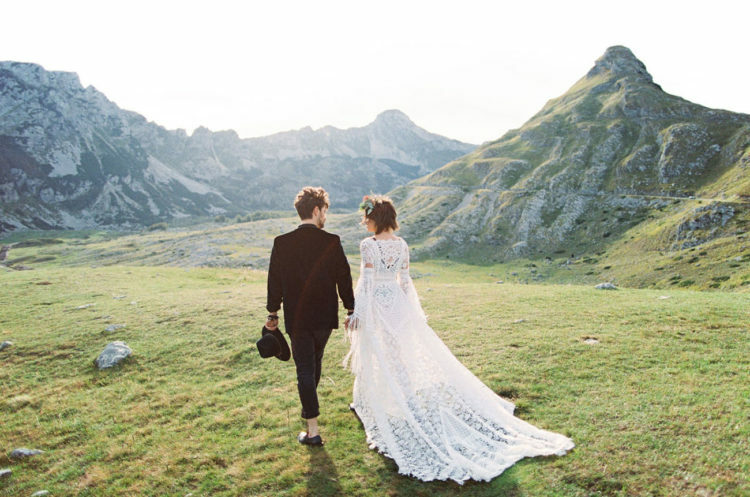 The bride was wearing a gorgeous boho wedding dress of intricate lace, with fringe sleeves and a long train. Her black underwear and black booties tie her look to the groom’s. The groom was rocking an all-black ensemble with cropped jeans, a tee, a velvet blazer, shoes and a hat. 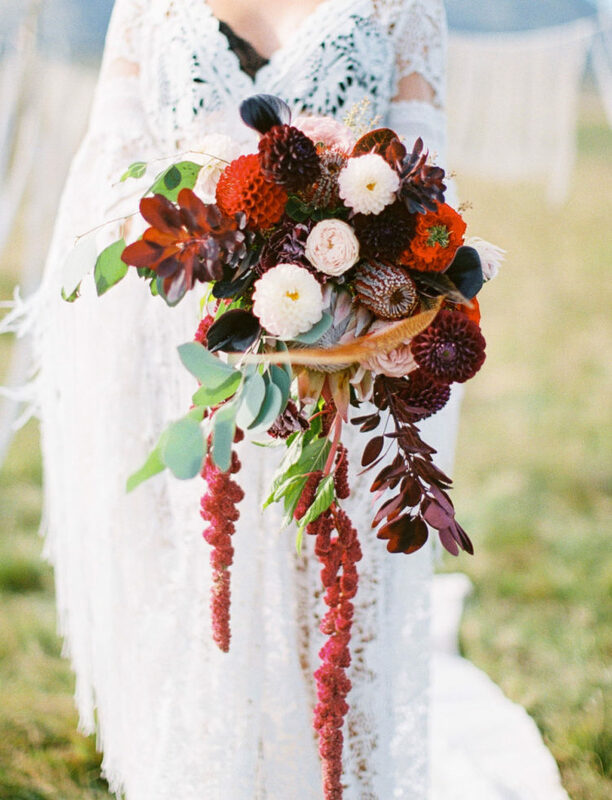 For the bouquet Serafima Pavlova created, it was all about rich shades, combined with delicate peonies, roses, and dahlias. 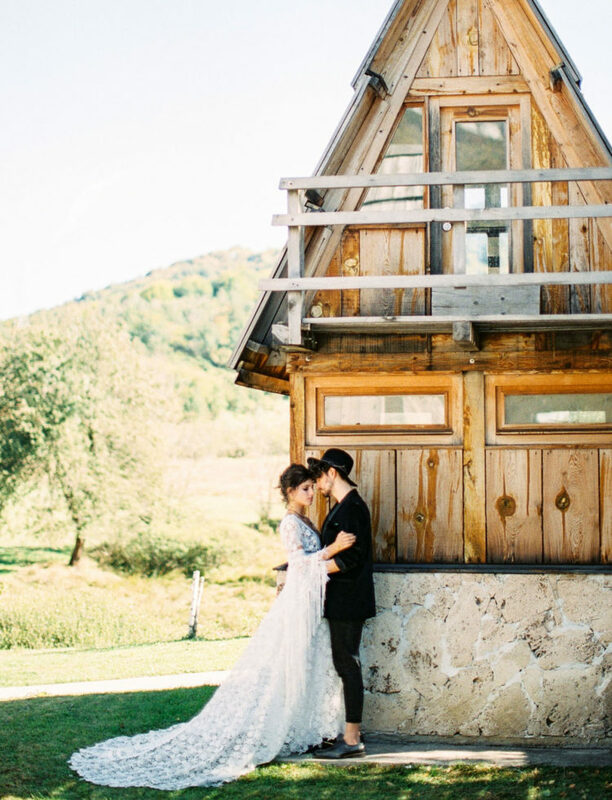 Take a look at the gorgeous pics below and get inspired to elope to Montenegro!